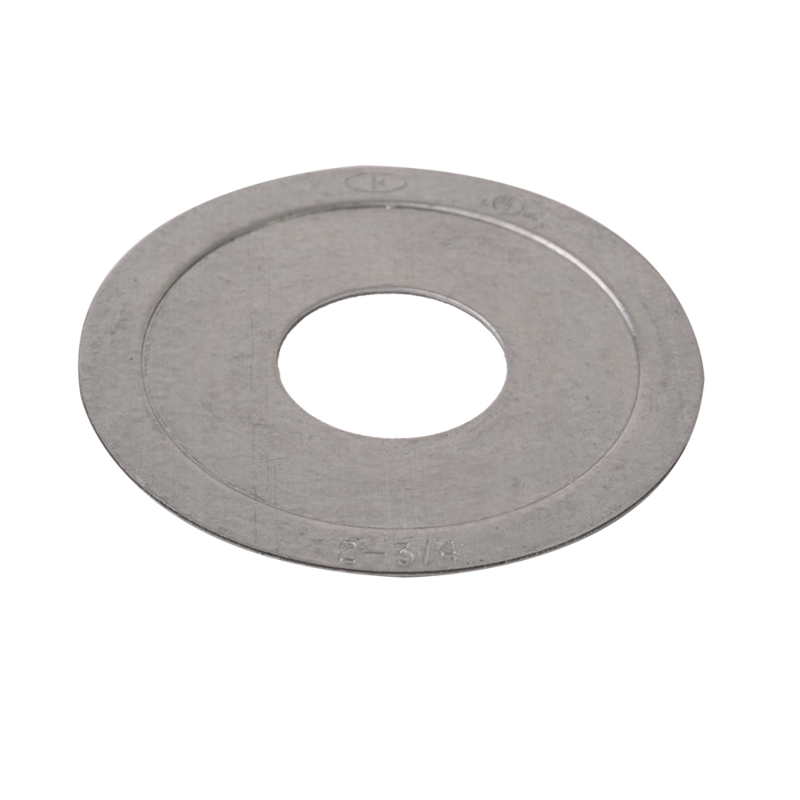 Reducing washers are for reducing knockout holes. 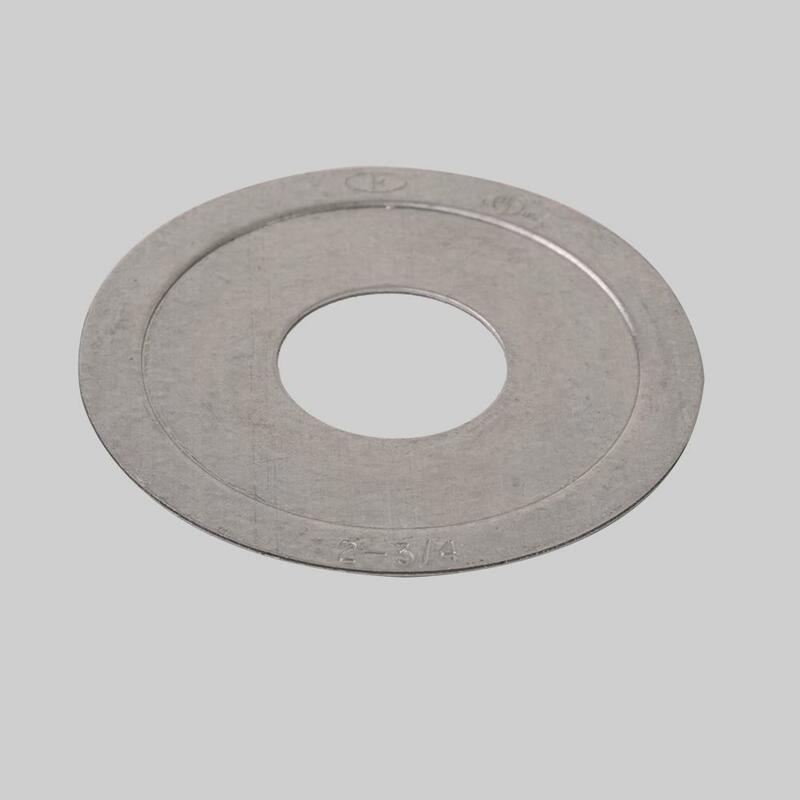 These washers have raised flanges for a tight fit and are made of galvanized steel. PI308 reduces hole to fit appliance switch.